MAE LA (Thomson Reuters Foundation) – When her first child – a daughter – was born, Pa Pa Win dreamed of a grand wedding for her many years down the line, with a big celebration in their village in Myanmar’s Mon state. Instead, when the time came 20 years later, Ms Pa Pa Win and her family settled for a modest gathering in the Mae La refugee camp in northern Thailand. They are among about 31,000 refugees in Mae La, the largest of nine camps on the Thai-Myanmar border. She and her family have been there for 13 years. “We came here because we were not safe in Myanmar. We thought we could go back after a while, or that we could make a life here in Thailand,” said Ms Pa Pa Win, who is Muslim. There are 97,439 refugees from Myanmar in the camps – half of them children – according to the UN refugee agency UNHCR. Most are ethnic minorities who fled fighting between the military and ethnic armed groups. Some have lived in the camps for more than 30 years – one of the world’s most protracted refugee situations. However, it has pledged to develop a screening system for refugees to curb trafficking, and to provide access to education, healthcare and birth registration. But refugees live in limbo as they are not legally allowed to work or to leave the camp except for specified reasons. “The older refugees still want to go back to Myanmar, because they left behind a home or land and they are still attached to it,” said Oranutt Narapruet of the International Rescue Committee, a non-profit that provides services in the camps. Worldwide, a record 68 million people have been forced to leave their homes, according to UNHCR. Since 2005, more than 90,000 have been resettled in the US, Australia and Canada and other countries, according to UNHCR. But resettlement programmes for refugees from Myanmar ended in 2016. Thousands returned to Myanmar after a democratically elected government took charge, and hundreds more have signed up for facilitated voluntary return with UNHCR. But fighting continues in several ethnic regions despite a nationwide ceasefire agreement in 2015. “We had an ancestral home in our village, but we hear in the news what is happening to Muslims in Myanmar,” Ms Pa Pa Win said. The second route – taking Thai citizenship – is long and arduous even though changes in the laws in 2016 opened a path for some 80,000 stateless persons, mainly from Myanmar. Members of a soccer team who were rescued last July from a flooded cave in northern Thailand were granted citizenship in weeks under these provisions. In the recent case of a young Saudi woman who fled to Thailand saying she feared her family would kill her, UNHCR processed her application for refugee status within days ahead of her resettlement in Canada. Meanwhile in the camps, services by charities have reduced since peace talks began in Myanmar, campaigners said. Thousands of refugees have left the camps to live elsewhere in Thailand, despite the risk of arrest. As they are not legally permitted to work, refugees often engage in work that is “unauthorised and characterised as dangerous and degrading,” according to Human Rights Watch (HRW). And most refugee children are unable to attend school in Thailand due to restrictions on movement, as well as language barriers and discriminatory treatment, HRW said. “Many of the refugees don’t even want citizenship; they just want to get an education, work legally, and have freedom of movement,” Mr Oranutt told the Thomson Reuters Foundation. Mae La, a sprawling expanse of thatched bamboo huts ringed with barbed wire and set among hills, was established in 1984. It is considered better off than the other camps – all called “temporary shelters” – as it has electricity and mobile and internet services, as well as schools until grade 12. There are also shops, clinics, community centers, playgrounds and places of worship. In Mae La’s Zone C, there is a bustling market of shops selling household articles, food and snacks; there are also tailors and hair salons. Motorbikes, which refugees are not officially allowed to own, are parked everywhere. But the makeshift homes are crowded together next to open drains. Depression is common, as are alcohol- and substance-abuse. The suicide rate in Mae La is three times the global average, according to a 2017 report by the International Organisation for Migration. Since Myanmar transitioned to a civilian government, the Thai authorities have said they want to close all the camps. 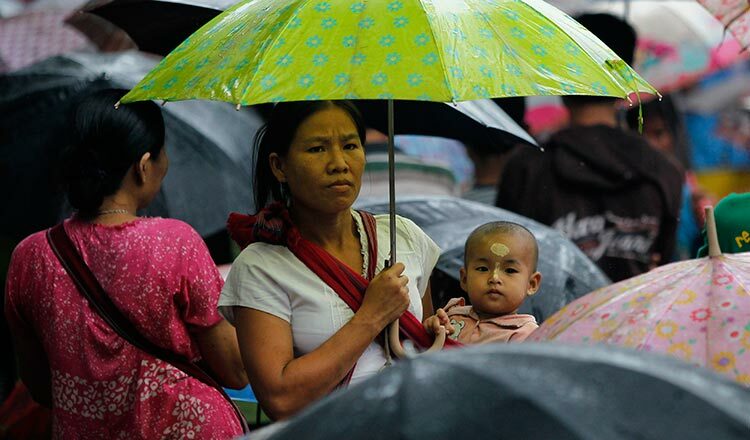 Developments in Myanmar offer “real opportunities for safe and dignified voluntary return,” a UNHCR spokeswoman said. If some individuals were unable to return, then UNHCR and the Thai authorities would handle them on a case-by-case basis, she said. But campaigners say conditions are not yet conducive. 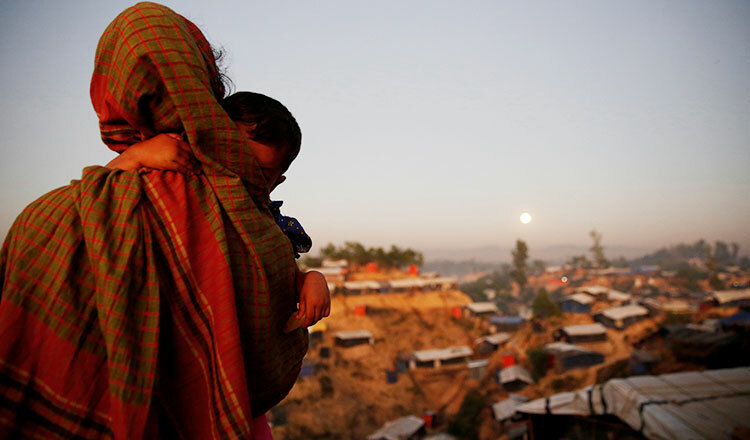 “If the camps are closed now, it would leave refugees vulnerable to traffickers and other dangers,” said Kyaw Win, director of the Burma Human Rights Network. That is what Ms Pa Pa Win wants for her family. “We would like our children to finish their education, be able to leave this camp, get a job, live like others do,” she said.